Kenilworth Freegle has 191 members so far Throwing something away? STOP!! If you live or work in the Kenilworth area, please offer your reusable items to other group members. Keep it out of landfill by recycling it. Items must be legal, appropriate, and given for free. Giving and receiving free unwanted items in their immediate communities helps members to meet new people, it helps to develop local community networks and friendships in the process. Local charities, non-profit groups and communities are encouraged to join. All groups within this organisation operate with a basic principle – all offers and requests must be Freegle (free and legal). Many Freegle groups were formerly part of the US-based Freecycle Network but as the movement grew in the UK, it became clear that many of the changes in that organisation created an untenable situation for many of the volunteer organisers in the UK. Hence, Freegle was formed. So you have stuff you don't need? Don’t just throw it away – give it away! You might not need that old sofa or wheelbarrow any more – but there might be someone just round the corner who does. Or perhaps there’s something you’d like, someone nearby might have one that they might be about to throw away because they don't know what else to do with it. Almost anything can be offered or requested. Like many others, the Kenilworth group does not accept postings for any form of livestock or weapons; we retain the right to refuse any item which could be illegal or considered offensive. One of the very first items offered and re-homed in Kenilworth was a huge Chinese rug. At the other end of the scale, in response to a ‘wanted’ posting on the Leamington site, the present Kenilworth moderator replaced someone’s broken 1950s style bell push! Favourite posting are probably for outdated, but still usable, electronics items such as televisions, computers and mobile phones – many people are perfectly content with last year’s model that others want to replace with the latest gizmo! Even non-working items are often taken for spare parts. Your local Kenilworth Freegle group makes this happen online. Freegle is an email list hosted online at Yahoo! Groups, all you have to do is sign up, post an OFFER of something you want to get rid of, or a WANTED for something you need. 1. You have a new washing machine need to take the old one to the tip. 3. Any members who want a washing machine but don’t care if it is a bit noisy or last year’s model will reply to you privately. 4. You choose who you would like to give it to and between you, you arrange for them to come and pick it up..
5. You’ve got rid of the old machine that someone else can use and got to meet someone new in the process. 6. AND, it didn’t go into landfill. Great for both you and our planet. Everyone wins! Likewise, if you need an item an item you see posted, you can request it from the donor or if there is something you’d like, just post a WANTED notice. If someone has what you’d like they will contact you off-list to offer it. 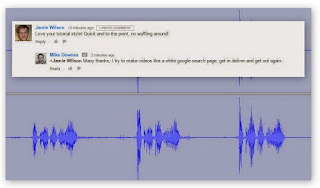 And, of course the Group Moderators will be happy to help you if you need any advice about any part of the above process. We hope you enjoy Freegling with the Freegle community in Kenilworth! Don't throw it away – give it away! Join up today, go to http://groups.yahoo.com/group/Kenilworth-Freegle/ or press the ‘Join Kenilworth Freegle’ button on this page. It only takes a couple of minutes to apply and your application will normally be approved within a couple of hours. Then you can start Freegling! Your early postings may be moderated (and therefore delayed slightly) but this is only so we can try to maintain a consistent format. WE WILL NEVER TRADE YOUR E-MAIL ADDRESS; THE ONLY PEOPLE WHO WILL SEE IT ARE OTHER MEMBERS OF YOUR FREEGLE GROUP! I use Freegle a lot - mostly because I have things to get rid of which the charity shops won't take (i.e. non clothing items) and which I think have another life left in them. Over the years I have rehomed hundreds of childrens, home and garden items - and occasionally, have been lucky enough to receive items which I have needed. I have now got into the habit of offering almost everything before I throw it out - the largest thing someone has taken is an entire bathroom suite, and the oddest is a broken shower pump! And it hasn't cost me a penny to do it as people always come and collect. Kenilworth people will benefit from a Kenilworth Freegle site because it is on their doorstep - you won't have to travel far (no more trekking over to Southam for things), keeping unnecessary car journeys to a minimum, and things will hopefully go more quickly as people are local. And it's great to know that you have kept something from landfill when it still has a useful life. I think that's it in a nutshell really - I do think it needs more publicity, as several of the people collecting my items lately have been from far outside of Kenilworth and have obviously only signed up in case because they are interested in taking items, which is a shame, as those people will not then offer their items on the Kenilworth site - and you need people to both offer items and take them for it to work! Fantastic for house clearances - it is amazing what people will want or need. Even surplus building materials will find a home and it saves you a trip to the tip! 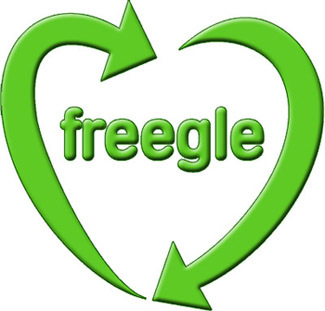 I have used Freegle to clear the homes of deceased relatives - happy in the knowledge that their possessions will continue to benefit those in need in the local community.